This week your Critical Reflection Paper compares the concepts of liberalism and socialism. To best prepare you for this assignment, let’s take a deeper look at the variations found within liberalism. Classical liberalism is based upon the work of John Locke and Adam Smith whereas modern liberalism focuses upon the work of T.H. Green. So, what are the differences between these two forms of liberalism? And of the two, which do you agree with most? Each Student will pick an area of hospitality operations (hotels, restaurants, conference centers, private clubs, cruise ships, etc) and research what laws apply to the specific area of operations. As an example: hotel reservations and what laws apply. The student must not just list the laws, but must outline what laws apply and provide an analysis of the specific laws to the operations. Each student is to research and prepare their own paper. No two students will be researching the same topic. I will approve the topics for each student. Topics must be chosen by the date outlined in the class Syllabus. The date to submit the topic for your research paper is October 9, 2017. No more than 10 pages double spaced, but no less than 7 pages. If the paper is not at least 7 full pages, a passing grade will not be received. The font size must be 12 pt. Times New Roman or Courier New. I need to be able to read it to grade it. Please do not use endnotes, footnotes or a reference page for your citations to your authority for your facts and legal arguments. Such pages will not count towards the 7-10 page length requirement. You may use cases and statutes referred to in the text as a starting point of your research. A research paper that relies mostly on cases and statutes referred to in the text will not receive a passing grade. You may use statutes and regulations from the web. As an example, if you want to research the Americans with Disabilities Act, you may want to look at www.ada.gov If you want to research food safety you may want to take a look at www.fda.gov or similar sites that have regulations and statutes available. A full legal library can be found on line at the Law Library of Congress at www.loc.gov/law You can access several cases, statutes and rules as well as articles on various legal topics by using the online University Library. If you go to the online University Library–right land lower corner of Beachboard for our class you will note the University Library. From there, go to “Find Articles”. From there go to”lexis Web by Lexis / Nexis”. Under the tab you will see several tabs for federal and California statutes and cases as well as be able to research specific topics. May I suggest that you start researching or accumulating the law applicable to your topic early on as finding the law for some of you may not be easy. If there is a specific area of law that you are having a difficult time finding, please see me for suggestions on where to find the applicable law. For cases, please provide the name of the parties and then the cite where the case can be found; i.e. ; Thomas v Harrison, 21 US 451 (2012): Thomas and Harrison are the parties, the case can be found in book 21 of the United States Reporter at page 451 and was decided in 2012. For statutes, just use the citation that is provided in the code. The same for any regulations that you cite to, such as the ADA. I expect that for each “fact” or “argument” that you provide in your paper that you should cite to the legal authority that supports the fact or argument. The papers that provide facts and arguments without providing the citation to the legal authority will not receive a very high grade. I need to know where you obtained your facts and arguments. A total of 40 points are available. What I am looking for is not an exhausted research of a specific area of the law. What I want to see is your recognizing the legal issues involved in a specific area of hospitality management and your ability to analyze the law to the operations. Further, your discussion of the law and the application of the law to your subject. I also want your recommendations on the law as applied to hospitality operations for the suggested topic of your choice. As an example, if your topic is room reservations and the law applied, you may discuss how to make reservations more enforceable if necessary in a court of law. We will discuss the research paper in more detailed during class. This is simply an introduction to it, what is necessary and requirements. I suggest that you do not wait to start your selection of a topic and research. Finding the applicable law may be difficult for some of you and therefore I suggest that you start early as oppose to researching the topic at the last moment. If you have any questions, please don’t hesitate to see me during my office hours or before class. Ingrid Reeves v. C.H. Robinson World Inc.
Read the “Sidebar 20.6” in Ch. 20 of the text. Write paper of 700- to 1,050-words in which you analyze the sexual harassment issues presented in scenario. • Analyze each of the elements of this case: the applicable defenses and the basis for the court’s ruling. • Analyze the possible liability in this case if the sexual harasser(s) were an independent contractor versus an employee. Cite to at least three peer-reviewed sources. Analytically compare and analyze the Differences in gender roles and gender equality in Norway and Greece. In the assessment formal matters such as language, structure and bibliography will be important – but even more so, contents, degree of independent work, and analytical depth. The paper is to be written as a long, formal report. The paper must have a title page and a table of contents, indicating the outline of your text. Sources should be documented with references in the text (or in endnotes or footnotes). Sources must be listed in a bibliography/list of references. Length: Text should be minimum 20, maximum 25 A4 pages (title page and pictures, and/or graphs excluded). The text should be typed in Times or Times New Roman, font size 12, line spacing 1.5. Additionally, you must include an Abstract, approx. half a page (a brief summary of the entire paper). Consider the way the use of prison and community penalties have changed since the Criminal Justice Act 2003. Do these changes suggest there has been a move towards retributivism or reductivism? 1. Introduce us to Douglas Kellner, including his background and education. 2. Why and how did Kellner get involved in media literacy efforts? 4. Explain how Kellner saw the future of media literacy evolving. Do you believe he influenced the current field of media literacy? Many people bock when they hear that modern slavery is still happening all around the world; nonetheless, it is happening right under our noses in America, our home. Had we not yet abolished it? Had this not ended in the 1800s? Why are people still buying slaves? How could this have happened? When did it start; did it never end? What kind of world are we living in? These are all questions we ask ourselves when we are told, “There are an estimated 27 million slaves worldwide…” (Smith, 2012). Please review the full assignment prompt and the Week 5 Final Paper instructions located within the classroom and in the POL 201 Course Guide before beginning this assignment. Utilizing the worksheet below, develop detailed paragraphs that focus on the first main point for your final paper. For each section, a minimum of one fully-developed paragraph is required. A fully developed paragraph should be a minimum of 5-7 sentences in length. Each paragraph should include at least one in-text APA citation that provides support for the topic. At least two scholarly sources from the Ashford University library (not including your textbook) with in-text citations utilized within your paragraphs are required. Two new sources should be utilized each week to meet the minimum of eight required sources for the final paper. By finding and supporting your material with these sources each week, you will have the research necessary to construct a strong final paper. For help with writing and citations, please review the handouts and tutorials provided by the Ashford Writing Center. Provide a thesis statement for the final paper. It is very important that the statement focuses on the final paper and not only on the topic discussed above. 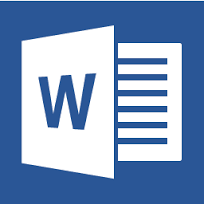 The thesis statement should be a concise statement of 25 words or less that clearly identifies the main argument, theme, and purpose for the final paper.